Ancient Roman Economics: The Romans made a trade as easy as possible. There was only one currency used and there were no complicating customs dues. Trade was also encouraged by many years of peace within the Empire. Trade was vital to the success of the Empire. When the Empire collapsed, trade throughout the lands that had once made up the Roman Empire, also collapsed. The Mediterranean Sea became a dangerous place for merchants as there were no powers to control the activities of pirates who marauded as far north as the English Channel. Roman Economics weaknesses and their social repercussions were Large to blame for the decline which Rome went through during the third century. Due to the nature of economic development during the Republic and the ramifications thereof, Rome developed an economy riddled with weaknesses and problems. The system of small estates developed during the Republic gave way to the system of the great imperial private estates. The growth of the large estate was a catalyst to the general decline of Rome as a symptom. By the fourth century, such damage had been inflicted that the Roman world was never the same again and eventually went into terminal decline. 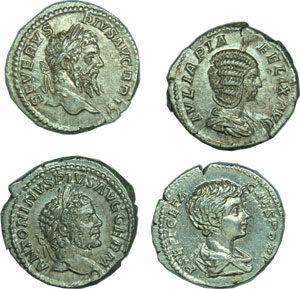 The most ancient Roman currency and the economy was pastoral and based on bartering: the early Romans were Shepherds and sheep farmers and currency were based on the exchange of goods such as cattle and perhaps salt. 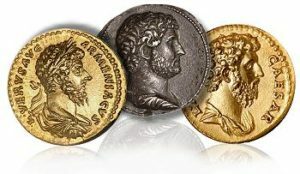 The first Roman silver coins were coined around 312BC as the Romans came into contact with the Greek colonies in southern Italy where the existing bronze coinage was of insufficient value to trade with the silver coinage of the Greeks. The city house of the rich man swarmed with slaves assigned to petty jobs of caring for the jewel box, keeping the shoes, dancing at supper, guarding the linen chest, and whatnot. 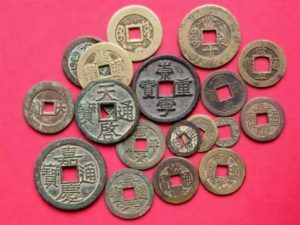 These were evidence of wealth and a household might run to hundreds and thousands of souls for the purpose of demonstrating a thing so all-important. From earliest times, Roman economic policy contrasted sharply with that in the Hellenistic world, especially Egypt. Economic policy in Greece and Egypt had gradually become highly regimented, depriving individuals of the freedom to pursue personal profit in production or trade, crushing them under a heavy burden of oppressive taxation, and regimenting workers into vast collectives where they were little better than bees in a great hive. Roman people didn’t have to just buy things that were made locally. Traders sailed across the mediterranean sea bringing papyrus from Egypt, glass from Phoenicia, pork sausage and salt from Austria, tin from England, fish sauce and cooking pots and dishes from North Africa, and olive oil from Spain. Even ordinary farmers could afford a lot of these things.